Past, present and future all mingle together as religious monuments cozy up among quaint shop houses while modern shopping malls can be seen in the near distance, like the Suntec City. 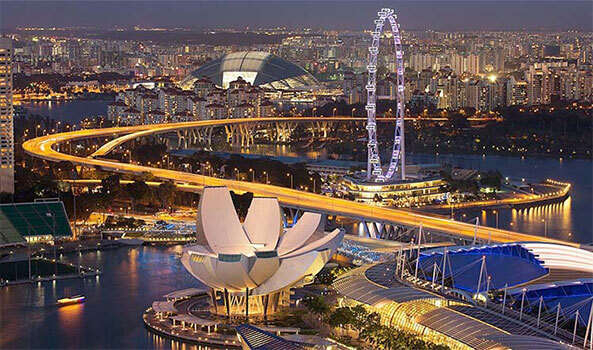 Beyond that are beautiful gardens and towering skyscrapers that outline the central hub of the city.Singapore City Tour comes to you in two packages, city tour at day and a city tour of Singapore by night. You can experience Singapore at day & night on a special guided city tour. Our City tour explores all the main sights that Singapore has to offer after hopping on and off 22 strategically located stops around the city. The history of Singapore is laid bare before you as you indulge yourself in its rich ethnic, cultural and historical heritage, passing by each ethnic enclave, such as China Town, Kampong Glam and Little India.